A central challenge for any growing business is figuring out how to find more customers. Oftentimes we look to fix this issue by expanding our lead generation tactics to involve channels like social media, email and paid ads. While all powerful in their own right, none of them—and I mean none of them—can hold a candle to referral marketing. Make no mistake about it, referral leads are the holy grail of B2B sales and marketing. But despite their value, over 70% of businesses aren’t taking advantage of such a powerful resource—not because of a lack of trying. They just don’t know how. Fortunately, we’re here to solve that problem. In today’s article, we’ll be going over step-by-step how your business can create your very own evergreen B2B referral marketing program from scratch. Did you know that the average consumer is subjected to 4,000 to 10,000 ads a day? That’s a lot of noise to cut through. Not only do marketers have the difficult task of capturing someone’s attention long enough to turn them into a lead, but they’re also literally competing against thousands of others trying to do the same. Every single day. One way to cut through the noise and immediately get in front of a potential customer is to have your brand introduced to them by someone they know. 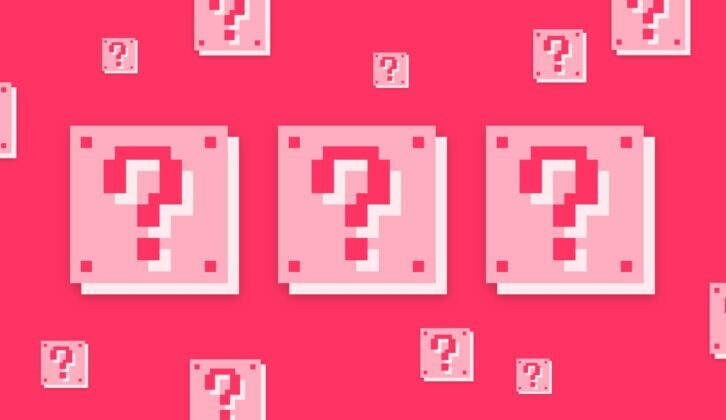 An interesting quirk of human psychology is that we naturally fear the unknown and the possibility of making the wrong choice, which is why we inherently trust recommendations from the people we know. Receiving a referral not only removes much of the work involved in making a purchasing decision but more importantly, it also greatly reduces the innate fear we have when confronting something unfamiliar. According to Nielsen, 92% of people will trust a product recommendation given by someone they know. What’s more, leads gained through a referral are four times more likely to purchase than any other type of lead. For a business, the value of a referral lead cannot be overstated. Customers gained through a referral produce, on average, a 25% higher profit margin, convert 30% better, and have a 37% higher retention rate than any other type of lead. Companies with referral programs sell more, faster. For most businesses, the task of finding a lead and turning them into a qualified prospect will be the most time-consuming part of their sales process. With a positive referral lead, however, businesses are able to bypass the initial task of building a “sense of know, like and trust” within a prospect and go straight into developing a relationship with them instead. With all that in mind, let’s get into how you can start capturing those sweet, sweet referrals. The very first step of building a successful referral marketing program is to make sure your business is worth referring in the first place. It doesn’t matter how well-structured your referral program is if no one is willing to recommend you. This is why it’s so important that you have a process in place to turn a one-off customer into a brand advocate. One way to do this is to demonstrate that you’re committed to a customer’s success even after the sale. Consider the law of reciprocity: the more you show what you’re willing to do for them, the more willing they will be to do the same. You can achieve this by ensuring that you have a strong onboarding process that makes it easy for your new customers to understand how to use your product or service. Continue nurturing customers by consistently providing them with valuable content that educates and inspires them. And lastly, make sure that your customer service is quick to respond at all times, makes customers feel heard, and goes out of its way to provide help and value. However, these tactics alone won’t automatically turn someone into a brand advocate. The real key to turning your average client into a brand advocate that will happily tell all their friends and family about your business isn’t just to meet their expectations, but to exceed them. 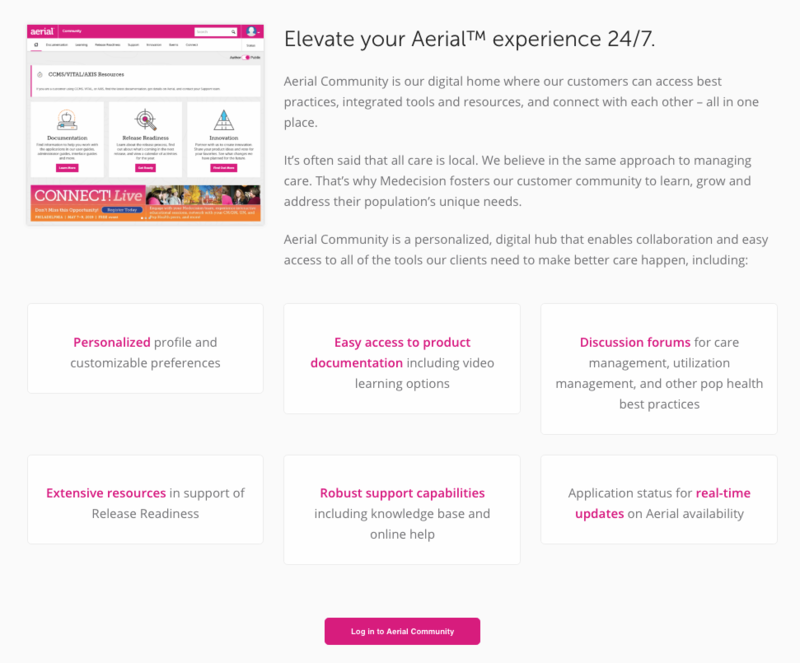 Once someone becomes a customer, they’re invited to join the Aerial community and immediately gain access to a number of benefits. These include access to specialized training and videos designed to teach the different ways they can use Medecision, a private forum where they can chat with other clients, and invites to exclusive webinars and events. This is highly effective because it gives their customers a more exclusive way to engage with the brand—and is the perfect place to discover potential referral opportunities and brand advocates. According to a survey by Texas Tech University, 83% of satisfied customers report that they’re happy to refer a product or service, but only 29% of them actually do. Why is that? One of the biggest reasons behind this disparity is that businesses simply don’t know who they should be asking for a referral. This places a lot of pressure on salespeople and marketers who are left to their own devices to figure out whether or not someone would be willing to give a recommendation. In the end, this leads to a fear of asking for referrals, a fear of asking at the wrong time, a fear of screwing up a deal, or just a plain old fear of being rejected. The best way to resolve this issue and remove much of the fear in asking for a referral, is to develop a formalized set of criteria as to what a good referral opportunity looks like. The process of understanding what an ideal referral opportunity looks like is very similar to how you would qualify any other lead or prospect. To begin, you need to create a profile of the specific traits that make up an ideal referral opportunity. For example, this could be someone who has a large network of potential prospects, a very positive opinion of your brand, and a strong understanding of the product and services you offer. Next, you need to determine what specific actions and activities that someone has to perform in order to exhibit your previously defined traits. For example, if someone has left a positive online review, then you can reasonably assume that they have a positive opinion of your brand and is more likely to give a referral if asked. Take advantage of tools like lead scoring to help you keep track of potential referral opportunities. You can use your CRM to assign scores to specific actions, such as leaving a review or responding positively to a customer experience survey. This way, marketers and salespeople have a quantifiable way to measure a referral opportunity. This simple set of criteria made is much easier for Marketo’s marketing and sales team to recognize which of their customers were worth approaching for a referral and the right time to ask them. A large part of any strong referral marketing program is one that both recognizes and rewards its brand advocates. However, it’s important to remember that direct incentives are not the only thing in your arsenal that you can use to encourage referrals, and that sometimes offering a direct incentive can even damage the relationship you have with your customer. For remote working platform Worldwide101, they discovered that offering a direct reward actually turned happy customers against them, with some customers even going so far to say that even being offered a reward was insulting. What’s more important than offering a direct reward is to offer an incentive that attracts the right kind of referral opportunity. A sense of community: Customers are more likely to be advocates if they feel like they’re a part of a larger community. In fact, inviting someone to join a VIP program, publicly recognizing a customer by thanking them, or sharing their story on social media is much more effective at turning someone into a brand advocate than a physical gift or direct incentive. A sense of progress: A part of building that sense of community within your brand advocates is to routinely recognize the positive impact of their contributions. If someone’s referral has been successfully converted into a customer, sending a thank you note or offering feedback on their efforts gives your advocates a feeling that they’re working together with your brand. The more involved someone feels in your business’s journey, the more likely they will want to contribute to your success. A sense of personal benefit: Finally, you need to be able to demonstrate how becoming an advocate benefits someone in their personal or professional lives. Beyond offering a one-use item as a reward, think outside the box and see what long-term benefits you can give. For example, offering exclusive training or a consultation can be a very powerful reward, or surprising your top advocates with expanded features within your product works too. Don’t be afraid to think outside the box when it comes to rewarding your advocates. 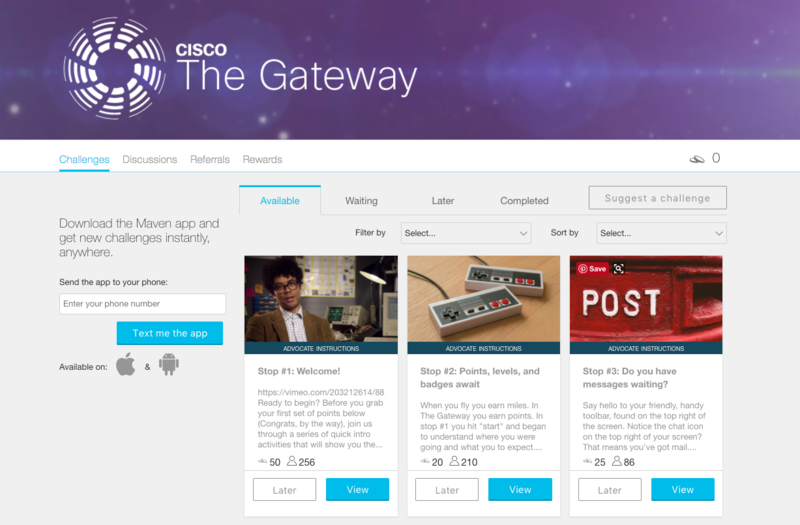 When developing their referral marketing program, known as The Gateway, Cisco knew that in order for their advocates to stick around for the long-run, they needed to be able to appeal to their customers on a variety of levels. In order to achieve that, Cisco offered four different rewards based on four different internal motivators: Status, Access, Engagement, and Rewards. Advocates could then choose what type of reward appealed to them the most. For instance, those who chose Status would be rewarded with an opportunity to speak at an event or have their story shared and promoted by Cisco, whereas those who chose Access would receive free tickets to Cisco events or personal chats with Cisco team members. 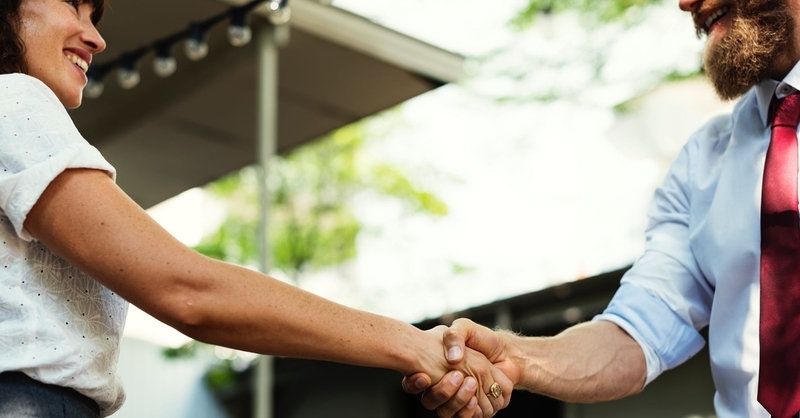 Just like with approaching a prospect with a sales pitch, there is a right and wrong way to ask someone for a referral. This puts the burden of responsibility on the customer to try to figure out what kind of person would be a good referral lead for you. No matter how enticing your incentive may be, most people have better things to do with their time than searching through their network for someone to recommend your business to. Think about it, would you be that vague with your own prospecting plan? Oftentimes, marketers and salespeople are afraid to be specific in their request because they think they’ll come off as being too demanding. In reality though, advocates are far more appreciative, and far likelier to give a referral, if a business is specific about what kind of person they’d like to be introduced to because it’s easier for them. You already know what your ideal customer looks like, so just ask your customers if they know anyone that matches that description. You can even take it a step further by looking through a referrer’s network and specifically naming someone you’d like to be introduced to and providing them with the exact email template to use when asking for an introduction. Notice how YesWare takes all the guesswork out of providing a referral by providing their customer advocate everything they need to make an introduction. From the point of view of the referee, all they have to do is say “yes” or “no” to making an introduction. 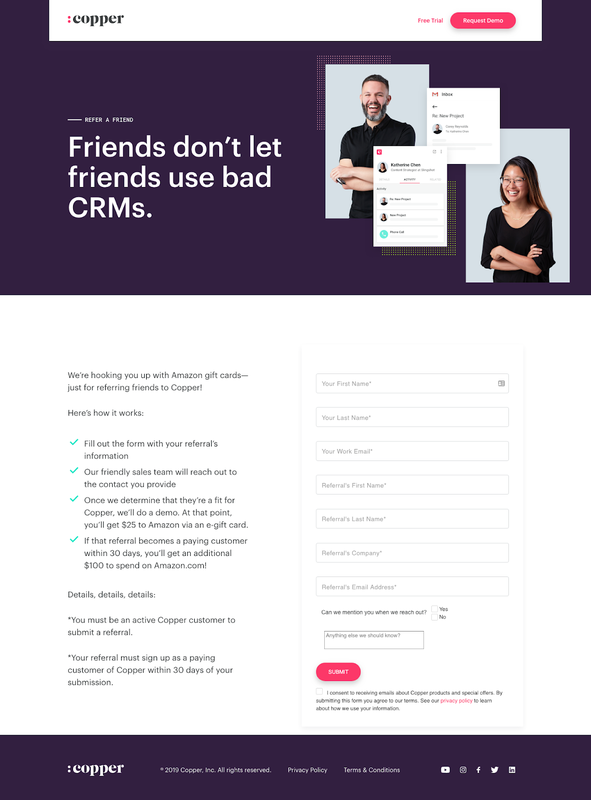 Not only does the landing page describe the exact process someone could expect when giving a referral but more importantly, we make it as easy as possible for them to give a referral. All an advocate needs to do is submit a friend’s contact details into our online submission form and we’ll take it from there. In order to improve our chances of being referred high-quality leads, we’ve introduced a tiered reward system as our main incentive. Anyone who provides a referral that results in a product demo will automatically receives a $25 Amazon gift card, if the referral ends up becoming a paying customer within 30 days then we’ll send over an additional $100 in Amazon credit. The greatest mistake a business can ever make with any referral marketing strategy is to not have a plan in place for processing your new referral leads. While it’s true that referral leads are easier to convert and are more likely to become a customer than any other lead, that does not mean that these leads will automatically turn into a customer just because they’re referrals. You still have to put in the work to nurture a referral lead before they become a customer. To create a powerful and effective referral marketing campaign, you need to have a plan for what happens after you’ve received a referral. Something to keep in mind is that not every referral lead that comes your way will necessarily be a high-value prospect. Don’t forget that you still need to do your due diligence in vetting and qualifying a referral lead, which involves doing basic research on who they are and what their business is, and understanding their specific pain points and challenges. Be sure to take advantage of one key benefit that referral leads have over every other type of lead: the referrer themselves. Ask the referrer why they referred that person to you and why they think that person would make an ideal customer. (If you need help figuring out your ideal customers, use this worksheet.) 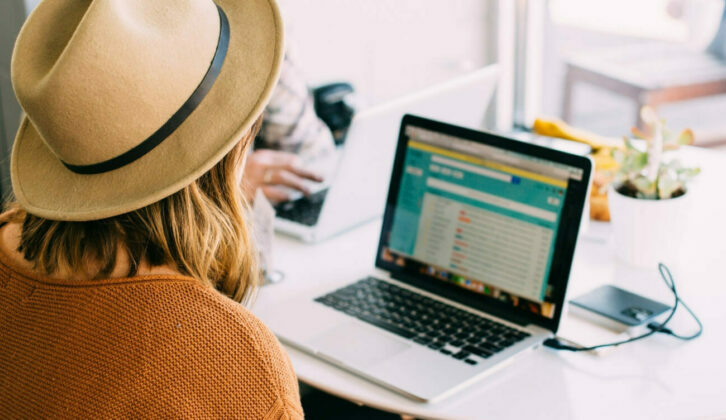 The referrer can be an invaluable source of information that’ll help sales reps further personalize their eventual sales pitch to the lead. Pro-tip: Don’t forget to involve the referrer! As we mentioned earlier, it’s important to make sure that your brand advocates feel involved through the referral process. Keep them updated on the referral lead and, regardless of whether or not that lead becomes a customer, thank the referrer for their help. The last step of creating a successful referral marketing program is to have a way to track and measure its overall effectiveness. Knowing what metrics to track and measure will help you further optimize the ROI of your referral marketing program. First things first, you need to know at what rate your referral leads are converting at. Ideally your referral leads should be converting at a much higher rate than other types of lead you’re getting—if not, then something has clearly gone wrong. You should be measuring the conversion rate of everything from the amount of hits you get from your dedicated landing page, the amount of people who agree to give a referral to the amount of customers successfully won via a referral. Your conversion rate will be your main benchmark metric as it gives you an understanding of the overall effectiveness of your referral marketing program. The next metric to keep an eye on is what the average CLV is for customers won through a referral. This metric is important because it tells you how much a referred customer is actually worth to your business. Once again, the CLV of your referred leads should be higher than the average customer. If not then you should be paying close attention to how you are treating your referred customers, if they’re experiencing any problems with your onboarding process or if they need more time to be nurtured. Running a referral marketing program isn’t cheap and costs can include anything from the tools you use to manage your referral program, the incentives and rewards used to the amount of hours your salespeople are spending on referral marketing. This metric should tell you upfront what the ROI of your referral marketing program is and how it stacks up against your other lead generation efforts. By analyzing this metric and comparing it with the CLV of a referred customer, a business can quantify the ROI of their referral marketing strategy. While this might seem like a basic measurement, this metric can shed light on the overall quality of your referral leads. If the average deal size is too low it can mean that you’re not being specific enough with your customer advocates on who your ideal customer is, or even that you’re targeting the wrong people to ask for referrals. For B2B businesses, referral marketing and customer advocacy should never be a nice-to-have; they should be an integral part of their marketing strategy. Unfortunately, too many businesses find themselves without the knowledge or tools they need and are unable to take full advantage of one of the cost-effective and powerful channels for lead generation. But it doesn’t have to be that way for you. Just follow the steps we’ve outlined in this guide and you’ll be well on your way to building your very own B2B referral marketing program. Combine email with a clearly-defined sales methodology, and you’ve got the power couple you need to make things happen with your SaaS acquisition strategy. 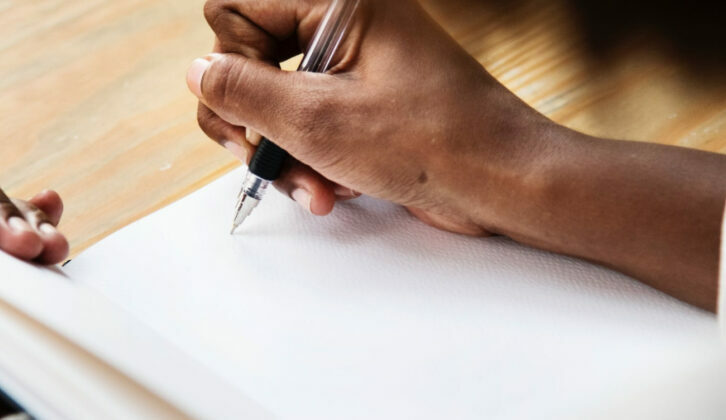 Learn about the AIDA model, its limitations, and the most effective way of using it as a copywriter or content writer. Learn about how Copper's team uses a CRM to do customer marketing, collect case studies and customer stories, and more.